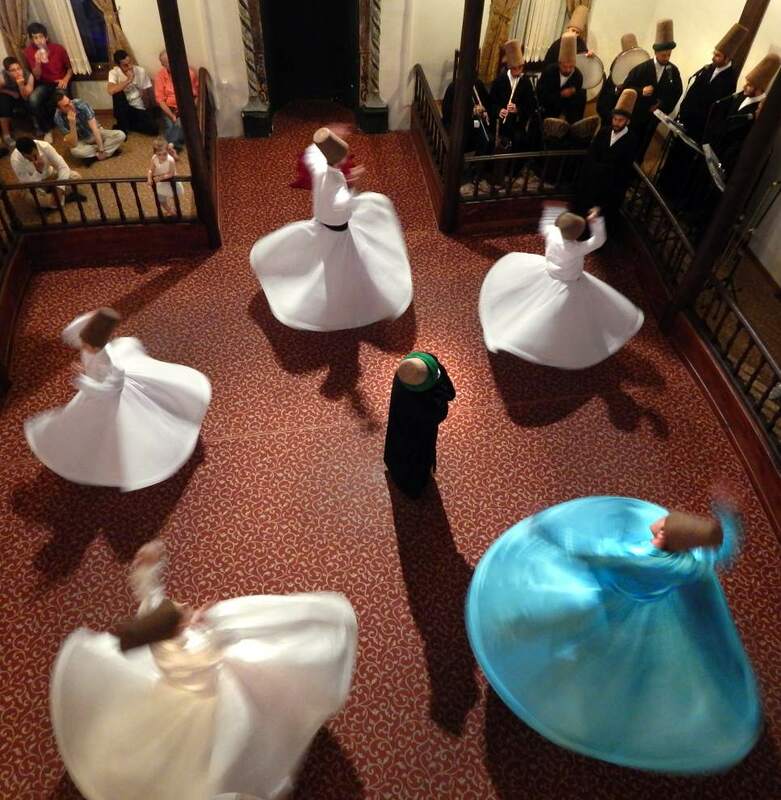 The Whirling Dervishes of Rumi, famous for their Sufi spiritual practice of whirling, will perform at 7 p.m. Wednesday at Louis J. Roussel Hall at Loyola University, 6363 St. Charles Ave. Tickets are $20 each and can be purchased by calling (504) 865-3240 or at whirling dervishesnola.eventbrite.com. These authentic Sufi dervishes from Konya, Turkey, whirl to convey God’s spiritual gift to those who witness their ritual movements. The dervishes are an ancient Sufi Muslim tradition. It is said that the great 13th-century mystical poet and theologian, Rumi, while walking through the marketplace, heard a blessed rhythm in the hammering of the village goldsmiths. The rhythm spoke to him the sacred words, “There is no god but The God,” and his heart was so filled with joy that he outstretched both his arms and began to spin. The mesmerizing whirling movements, from which the Whirling Dervishes gets their name, represent the individual’s mystical ascent turning toward truth and growing through love, in order to be of better service to all creation. Four Sufi musicians will accompany the revolving tradition of the dervishes with live ceremonial music performed with voice and traditional instruments. The performance is sponsored by the Atlas Foundation, which aims to promote mutual understanding, respect and cooperation among people of diverse faiths and cultures by creating opportunities for direct communication and meaningful shared experiences. For information, contact Emrah Aktepe, executive director of the Atlas Foundation, at (504) 909-2424.